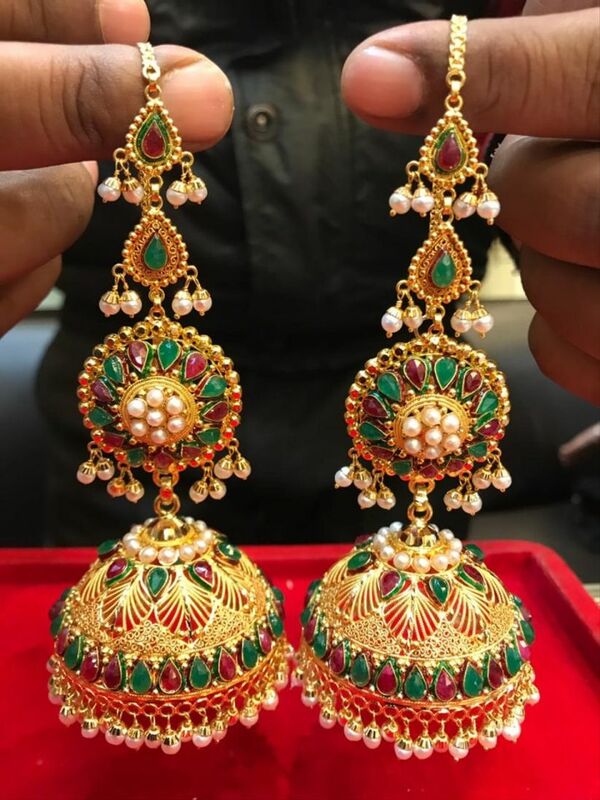 How to Choose Gold Jhumka That Screams 'You' | Wedding Tips ARE YOU A VENDOR? 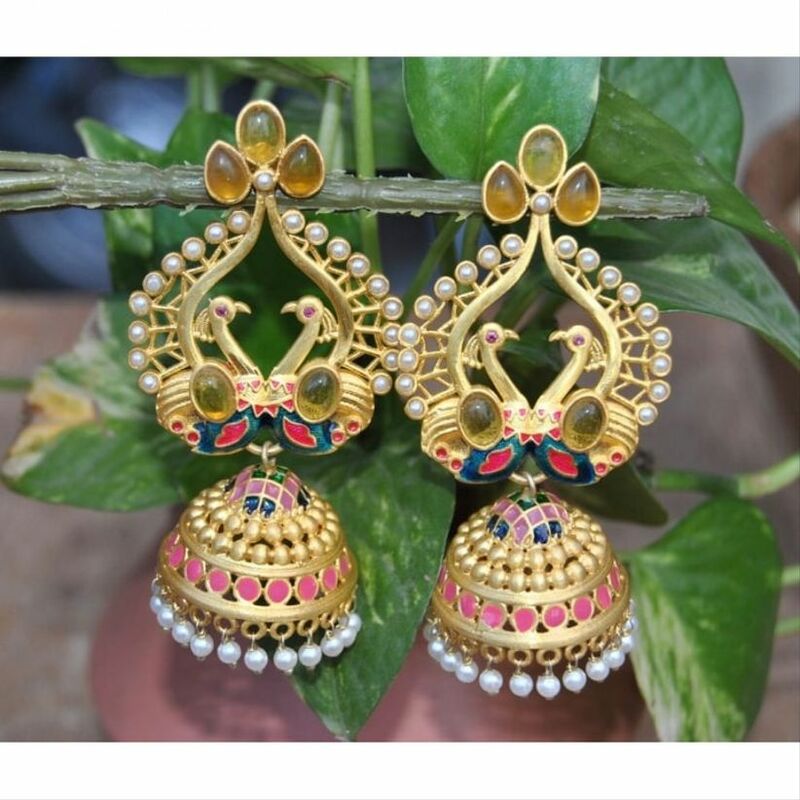 Are you caught up in the trend of Bahubali earrings and are now searching for a pair of gold Jhumka? Let us guide you to find the pair that suits you well. 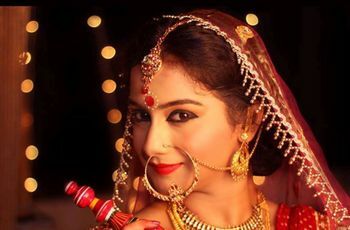 If you are on a hunt to find the perfect gold jhumka to go with your bridal ensemble, we will tell you how to find it. But before you begin, make sure you have a warm or neutral undertone to your skin otherwise gold will not look as good on you. To test that, look at your wrist if the veins appear green or olive, you have a warm undertone to your skin. If it's a mix of blue and green, you have a neutral one. 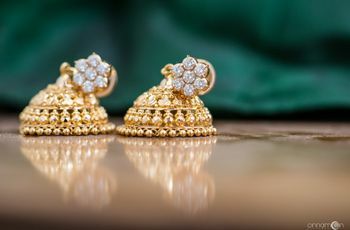 Now, as we have that bit sorted, let's deep dive into things you need to keep in mind when you are searching for your pair of gold jhumka. 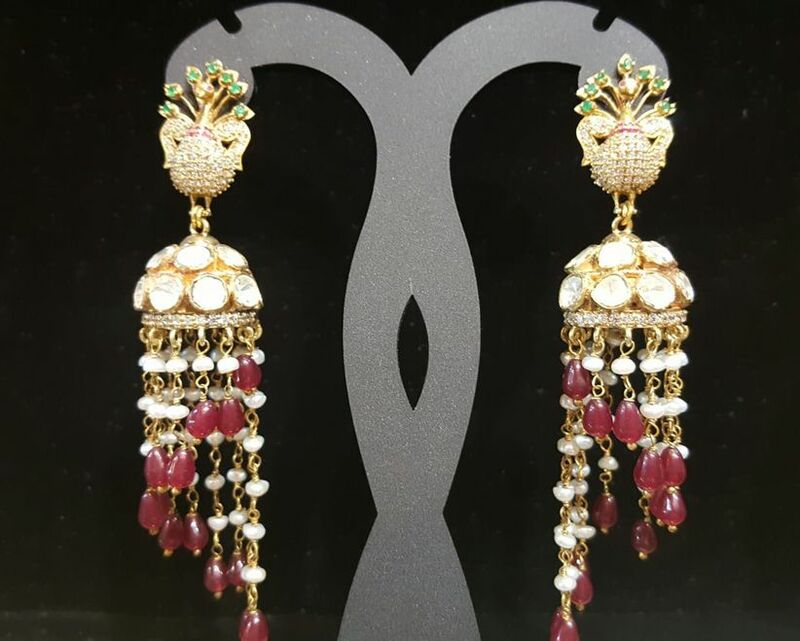 You will find a myriad of designs when it comes to gold jhumka but you need to judge for yourself if the design is rich enough for your ceremony or should you tone it down. For eg: if you're having a low-key intimate Sangeet ceremony, you don't need to go overboard with your ensemble. Hence, the gold jhumka you pair with the outfit can be small designs. But if you're looking for a pair for your wedding, it definitely has to be an OTT pair of gold jhumka. There are different tones to gold jewellery. The gold jhumka you choose should complement colour tones of your outfit. It is a no-brainer that you wouldn't pair gold jhumka with a silver lehenga. And that's why you should consider the undertones of the shades of your attire. They both should complement your skin tone and bring out that graceful dive effect a bride has to have. If the highlight of your ensemble is a Kundan necklace, you will want gold jhumkas that have Kundan encrusted on them. Otherwise, the whole look will fall apart with completely different looking elements. The tone of gold of your necklace, Maang Tikka and earrings should be the same for it to look like a set. And don't forget the chains attached to gold jhumka if you're planning to wear the trendy Bahubali earrings. Donning gold jhumkas does not mean that everything that matches it should be gold. Go for a makeup trial keeping this in mind. Your makeup should gel well with the gold tone of your jewellery. But don't go overboard with the golden effect. Just because the gold jhumka look so amazing does not mean you should close your eyes and buy it. Please consider the weight of the earrings as well. You don't want to be troubled by your ears hurting all through the ceremony or worse, bleeding during the ceremony. Select a pair you can carry with ease. When choosing the hairstyle to go with your gold jhumka, pick something that does not overshadow them. What would be the point of wearing a statement jewellery piece if it is not even clearly visible! 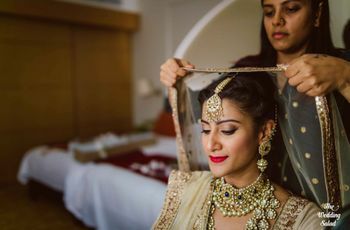 So ask your hairstylist to come up with a half-pinned updo or a complete one that would look graceful and give visibility to your precious gold jhumkas. Keep your budget in mind whenever you head out for jewellery shopping. 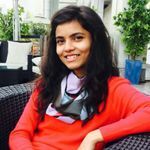 You must have allocated some figure to it and with a breakdown of that budget would give you the cost bracket for your necklace, earrings, anklets and of course, your wedding rings. You can always go for a mix of precious metals or imitation jewellery if your budget is falling short. But if you have no budgetary constraints, by all means, go all out in choosing your gold jhumka. When you have found the right pair of gold jhumkas, check for all these key pointers to create a breathtaking look. Keeping the above-mentioned points in mind will give you an idea of how to find the right set of bling. Stay on a lookout for the chains and strings that would look lovely with your jhumkas. Extending them into your hairstyle will give you a royal look. And doesn't every bride want to look like a queen for her wedding ceremonies! Looking for jewellery vendors to start browsing and shopping from? End your search right here.